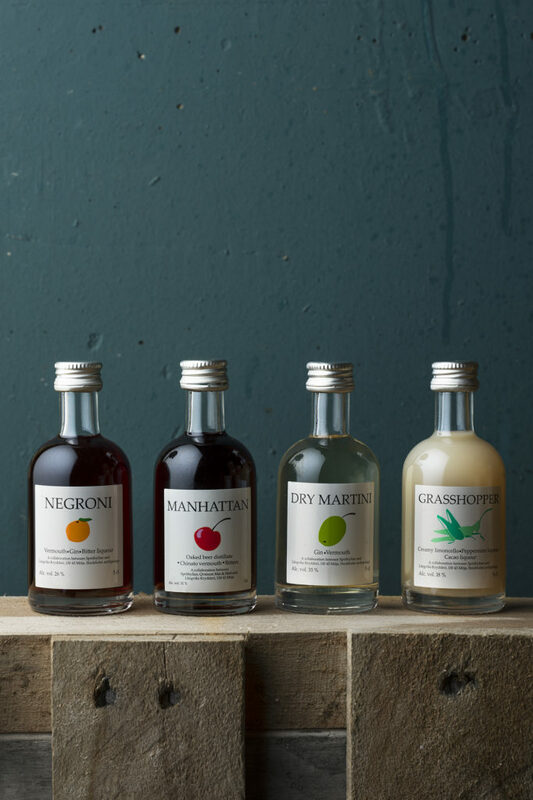 Sprithyllan has developed three pre-mixed drinks in 5 cl bottles that are ready to be served without having to put out any extra work to it. Perfect for restaurants without bars, events, hotel mini-bars, hikes or any other occasion where time and equipment is restricted. 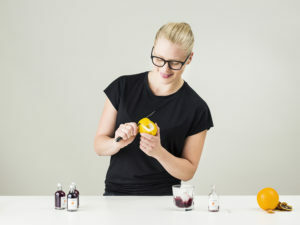 The drinks are made in a collaboration with Långviks krydderi at Möja, serve them on ice or chilled for best experience. It all started with our favourite drink, Negroni. It is a drink with a long history and it is well established in the industry. It’s a drink that you can play around with in all eternity, three components that will change the drink completely depending on brands. The drink includes gin, sweet vermouth and bitter liqueur. First out is our signature product: Sprithyllan gin, made in a collaboration between Sprithyllan and Långviks krydderi. It is distilled at Möja, in the Swedish archipelago. It is a beautiful Island full of life with lots of herbs, berries and fruits growing wildly. The main ingredients are juniper (of course), Spanish runaway and peppermint – all of them growing at Möja. This gin is dry with a straightforward juniper flavour composed with green herby aromas, leaving you with a fresh, minty flavour. Next up is the vermouth. 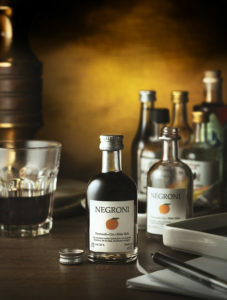 Together with Andrea Scovero, a winemaker in northern Italy, we’ve made the perfect sweet vermouth for a Negroni. The base is 2016 barbera wine spiced up with lemon zest, rhubarb, gentian and cinnamon. Classic spices for vermouths but with a fruiter touch. The vermouth plays a big part in this drink and makes it a wine driven, flirty Negroni with the perfect balance of juniper aromas and a bitter lingering aftertaste. For the bitter liquor we use Mondino Baverese from Bayern Germany, made with ingredients picked at the foot of the alps. Bitter orange, gentian and rhubarb plays a big role in this amaro. The bitter element is balances with the citrusy components and has a great herby flavour in the end, making it last perfect with Sprithyllan gin. Sprithyllan Negroni is the first drink in our series of ‘Bottled Cocktails’ and comes in a 5 cl bottle with the ABV of 26 %. Served best on ice with a lemon zest. Our dry martini is mixed with the same gin describes above, Sprithyllan gin, from Långviks krydderi. A gin that is dry with a straightforward juniper flavour composed with peppermint and Spanish runaway from Möja in the Stockholm archipelago. 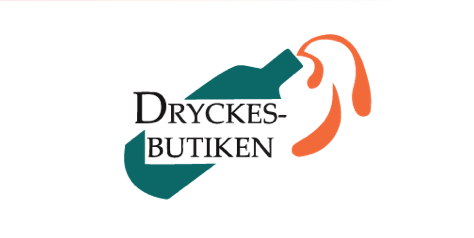 The vermouth is made from natural wine imported by Dryckesbutiken. Freshness and structure comes from the Bordeaux grape Semilliont and the flowery flirty notes come from Rhône grape Clariette. The wine blend is fortified with Swedish aquavit with traditional flavours of cumin, anise and fennel. To match the gin, the vermouth is also flavoured with the same green notes as the gin – Spanish runaway and peppermint. The martini is a good pre dinner drink with distinct gin characters and herby notes, that works well on its own or together with salty snacks. Sprithyllan Dry Martini is the second drink in our series of ‘Bottled Cocktails’ and comes in a 5 cl bottle with the ABV of 35 %. Served best straight from the freezer with your choice of lemon twist or olive. Our twist of the creamy after dinner drink made by Philip Guichet in the 20th century. A drink originally made with three ingredients peppermint liqueur, cacao liqueur and cream. In our version we use staibano smooth, the creamy limoncello from the Amalfi coast, as third ingredients to get the freshness from lemons into the drink. The peppermint and cacao liqueur is produced by Joakim Kihlberg at Långviks krydderi and are developed to be the perfect match for our version of this drink. Sprithyllan Grasshopper is the third drink in our series of ‘Bottled Cocktails’ and comes in a 5 cl bottle with the ABV of 18 %. Served best chilled from the fridge or on ice.